Content: Thorough preparation for the IELTS Test. Emphasis on learning to speak and write more fluently. Development of your reading and listening skills. Improve your use of English with work on grammar, vocabulary and pronunciation. Look at learning techniques that will help you achieve results. Receive test training and guidance. Practise with past papers. 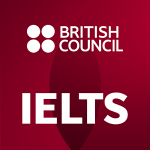 IELTS tests are offered once a month at our local centre. We will help you with your test entry. The cost of the first set of course books is included in the registration fee. Students on longer course will have the cost of additional course books added to their initial invoice. The cost is approximately £55 every eight weeks. The test entry fee is approximately £175 and is not included in the course fee.